MV's Patriot, now Josie was adopted by Keith who lives in Cincinnati. 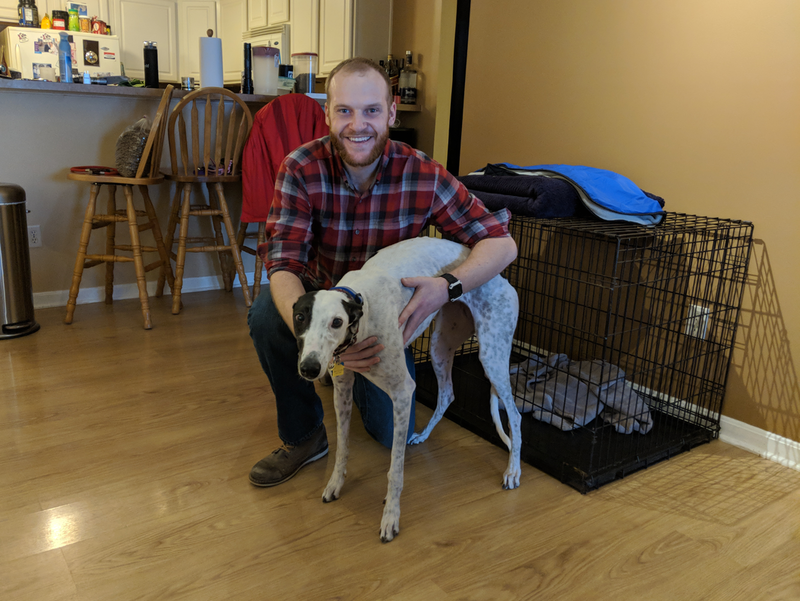 He comes from a dog loving family (mom fostered over 100 dogs while he was growing up) he has done his research on greyhounds and knows Josie is the perfect fit for his life style. She is a VERY lucky girl and will get the love and attention she deserves. We look forward to seeing him and Josie attend lots of GAGC events next year!